Raw Bistro Pet Fare has been working hard to create new products! One of our favorite Minnesota-made companies has added a frozen bison entrée for dogs to their product line. Raw Bistro is proud to use bison, turkey, beef and chicken; all of which are free-range, raised without added hormones & antibiotics and humanely raised. Raw Bistro works hard to bring you the very best food for your dog. 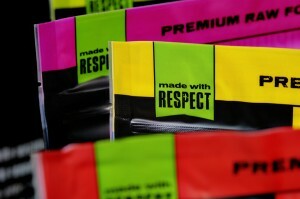 They do that by partnering with small Midwest family farmers and being transparent with their customers. Their patties come in 3 and 6 pound packages. All entrees are grain free, and contain only meat with fresh, organic fruits and vegetables. Are you looking to transition your dog to a raw lifestyle? Along with the new bison entrée, Raw Bistro has a new frequent buyer program. Purchase 12 bags and get your 13th for FREE! Ask your favorite Northland Retailer for the punch card. 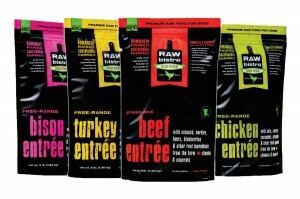 Find a bag of Raw Bistro frozen entrees at a Northland retailer near you! Learn more about Raw Bistro! Looking for more pet product updates? Be sure to stay connected to us & sign up for our email list!